Interested in the basics about Regina Mater? Here’s a list of Quick Facts to help you get acquainted with our community. 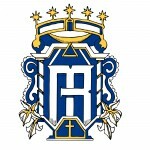 Regina Mater meets from 9:30 to 3:30 on Tuesdays and Thursdays (Core Curriculum), 9:30-12:00 on Fridays (Electives). The fall semester begins the first Tuesday after Labor Day and ends mid-December. We have a week-long break in October and Thanksgiving Week. Spring Semester begins the first Tuesday after New Year and ends mid-May. We take off Spring Break week and Holy Week. Grade levels are combined from pre-kindergarten through 12th grade. Our instructors have professional certifications and degrees in their subject areas, including American Montessori Institute, teaching and special education certifications, masters and PhDs. Veteran homeschool parents with years of experience also teach courses. All students wear uniforms from FrenchToast.com according to our dress code. There is also a closet of hand-me-down pieces free for use. Ordering information is given upon completing the family application. The process begins with the Short Form Application and $150 fee. After sending in the application fee, the Long Form Application should be completed. Once all papers are submitted, applicants will receive confirmation of enrollment and next steps to prepare for the coming year. Both parents must complete the Ethics & Integrity in Ministry course from the Diocese of Austin and provide a current certificate. Upon acceptance, both parents are added to the Regina Mater e-mail list and given access to online documents including the school calendar. The e-mail list is the primary communication tool for the school and should be read daily. We use DropBox, Google Drive, and Google Calendar for document sharing, assignments, and event sharing. Regina Mater is an independent apostolate of Catholic families unaffiliated with any other organization. We are a 501c(3) under the leadership of our Board of Directors and Education Directors. We are fully committed to the Magisterium of the Catholic Church. We meet one to two nights per month to celebrate feast days, attend adoration, and study theological topics related to education. We ask families to participate as much as possible. Colloquium attendance builds the bond between families and strengthens the community. Volunteering gives families a sense of ownership in the day to day life of our school. We ask families to consider where they can give their time, talent, and treasure to the community. We believe that home and school should be organically connected through the bonds of service and charity. In order to subsidize our low tuition rates, we ask for 100% participation in our fundraising program each year. Families may also donate directly to offset our costs; these donations are fully tax-deductible.